Gopinath Munde's sad demise – Huge loss for BJP, and large vacuum in Maharashtra's politics. 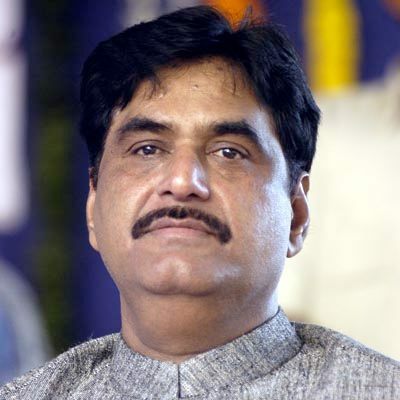 Late Gopinath Munde was a key BJP leader from India's western state of Maharashtra. His sudden and tragic demise has left behind a vacuum that will be difficult to fill for the BJP as well as the Indian politics. The Maharashtra BJP will be almost crippled by the absence of this senior, dynamic and extremely popular politician, as the state assembly polls are scheduled to be held, only after a few months. Actually, BJP had decided to propose Munde as the Chief Ministerial candidate, if they win more seats than its partner Shiv Sena. BJP will also miss this mass leader, whom they would have relied upon heavily to lead the election campaign. It will be challenging for them to find a great negotiator, skillful orator and excellent administrator like Munde. It is a significant loss for BJP, and they may face hard times now, since the young leaders of Maharashtra BJP unit do not have a similar rapport with the Shiv Sena leadership, and thus may not manage to handle tricky issues easily. They would also lack the political maturity to resolve controversial matters with the alliances. Hence, the looming question is what after Gopinath Munde for BJP in Maharashtra? Ganesha analyses the Formation Chart of BJP to foretell the future of Maharashtra BJP. Ganesha notes that BJP will be passing through Sun and Jupiter Dasha cycle, during the last quarter of the year 2014. As, the Sun is the primary signifier of commandant of the ruling party, Bhartiya Janata Party, and because the 10th House represents top authorities, this favorable factor may help party to perform well in the Maharashtra Assembly Elections - 2014. In other words, BJP's central leadership may help BJP grab enough seats in the State Assembly Elections 2014 for the western state of Maharashtra. Jupiter, being the Lord of the 10th House in BJP's Chart will be passing through the 2nd House, and will also aspect the same house. This factor indicates enough support from the allied groups like RSS and VHP. Hence, the BJP can expect equal support from its alliances, during Mahrashtra's election campaign. During the phase of Maharashtra Assembly Elections, the malefic Ketu will be transiting over the degrees of the Natal Sun, through the 10th House. Plus, the transiting Saturn will be passing over the degrees of the BJP's Natal Moon, through the cusp of the 6th House. This can be termed as a sensitive period for BJP, and hence there will also be a major threat from other leading political parties. Plus, some minor and local / domestic parties may also play a role of a spoiler by grabbing a little number of constituencies. Moreover, there are also some chances of internal conflicts, among BJP's Maharashatra unit, which may dent BJP's overall prospects. 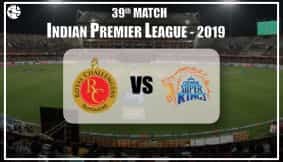 Summarily, Ganesha feels that the dynamic and popular leader Gopinath Munde's sad demise shall definitely have an impact on the overall scenario of the Maharashtra Assembly Elections – 2014, and BJP will require to make strategic moves to get a clear victory.